This day trip from Merida takes you to the most important archeological sight in Cancun: Chichen Itza. Entry fees to the Ik Kil Cenote are included! Operated since 1921 - the longest running day tour in Mexico! 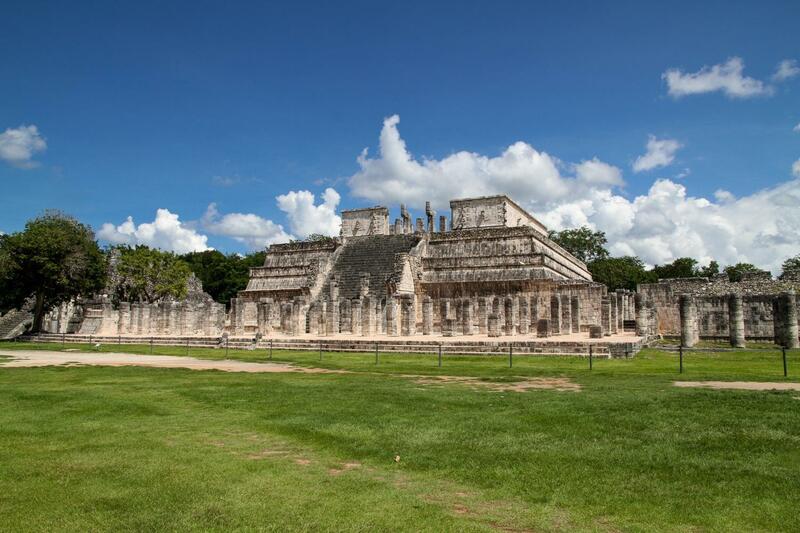 Access the Temples at Chichen Itza from our own private entrance without waiting in line. Enter and exit the park as many times as you want! Mexican, Yucatecan and international cuisine served buffet style. All you care to eat! Tour itinerary is subject to change without notice. We suggest you wear light, comfortable clothing, comfortable walking or hiking shoes, sunglasses, hat, sun block, and bring drinking water. Bring your bathing suit to freshen up after your visit - we highly recommend it. Our Mayaland Resort’s unique, privileged location among the Temples in Chichen Itza provide you with the best of experiences during your visit to this Wonder of the World, the only one in North America. Free use of Gray Line’s Luciano Pavarotti’s Hospitality Suite and all its amenities at Mayaland, a World renowned resort in the Heart of Chichen Itza. Their fee is included in ALL our tours & experiences and gives Gray Line Mayaland the unique ability to access the archeological site as many times as you like during the day, allowing each individual in your party to pursue their particular interest. Whether it is a refreshing swim in one of our pools (free) or the nearby Cenote Ik Kil. To start the excursion, we will pick you up in a 16 seat van (small groups for luxurious comfort!) from meeting point. After arriving at the Mayaland Hotel, we will head directly to the archaeological site through our private entrance. Our certified tour guide will take you on a 2 hours tour exploring the secrets of the ancient Mayan Civilization. Your guide will explain the historical significance of all the most important temples of this ancient city before leaving you to enjoy Chichen Itza at your own pace. Admire the Pyramid of Kukulcán, one of the 7 Wonders of the New World, the Temple of the Warriors, The Ball Court, The Observatory, The Nunnery and beautifully conserved smaller temples in their vicinity. Take as many pictures as you like! After your visit to the site, you will enjoy a delicious buffet lunch at the Mayaland Hotel. During lunch ,you will be entertained by our traditional Yucatan music and dance performances by the Mayaland regional ballet. We will depart at 3:30pm from Chichen Itza. Great tour and guide. Highly recommended. I reserved the tour of Chichen Itza from Merida, plus transfer to Playa del Carmen after the tour. The entire trip was uneventful. The Gray Line representative, Walter, picked me up on time at my hotel in Merida. The trip to Chichen Itza was on secondary roads mostly. Walter was friendly and informative about what it is like living in Merida. The tour guide at Chichen Itza, Jose, was very knowledgeable and made the tour fun. We had a nice lunch at the Mayaland hotel. Another Gray Line bus picked us up at the Mayaland Hotel and dropped us of at our hotel in Playa del Carmen. It was a great tour.